by Lewis Peake. 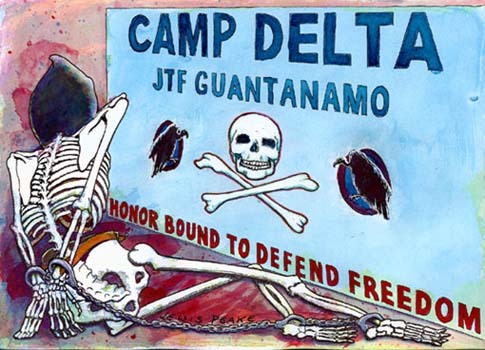 This cartoon is a reinterpretations of images drawn by Sami al Haj, a client of Clive Stafford Smith of Reprieve, who is on hunger strike in Guantanamo Bay. He's innocent & just wants a fair trial.